Britain has signed a “treaty between nations” with the PA, and refers to Judea and Samaria as "Palestine." British Foreign Secretary William Hague signed a “treaty between nations” with Palestinian Authority leaders on Wednesday. “This agreement is the first ever bilateral treaty between the two nations,” the British Consulate-General site proclaimed. The treaty covers cooperation in the film industry. Hague signed a similar agreement with Israel. Aside from its reference to the “treaty between nations,” the UK Consulate site also referred to Hague's trip to visit PA leaders in Ramallah as “his first visit to Palestine,” apparently recognizing a new country of “Palestine” before even PA leaders have declared one to exist. According to past treaties between Israel and the PA, any new Arab state in Judea and Samaria must be created through negotiations, and not unilateral declarations. 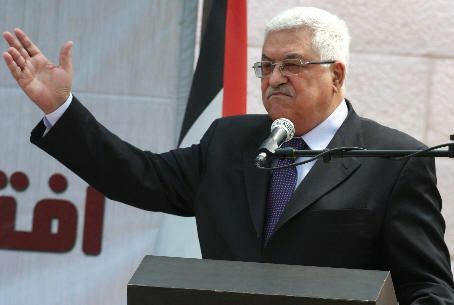 PA leaders have threatened in recent months to bypass the treaties and go to the United Nations in order to get international recognition of a new state without talking through issues such as borders or security arrangements with Israel. Journalist Uri Elitzur warned in September that the PA may be feigning interest in negotiations in order to get international agreement on borders without any obligation to compromise on other issues, such as security or the PA demand for the “right of return,” which would see millions of foreign Arabs granted Israeli citizenship.